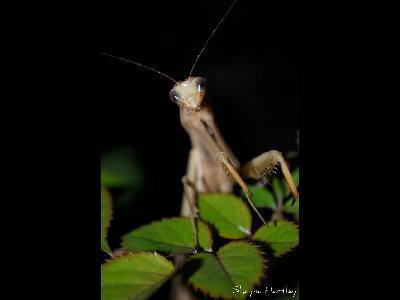 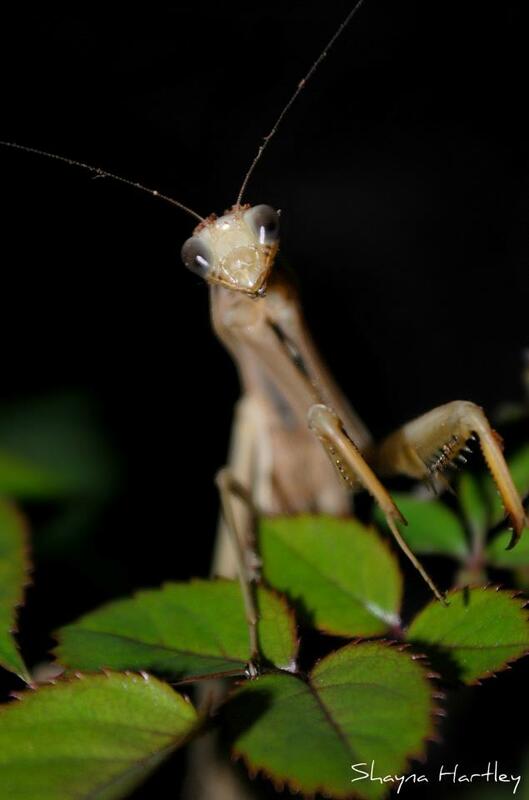 Night photo of a praying mantis. 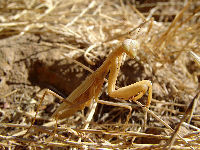 After mating a female Praying Mantis may eat her male partner. The Praying Mantis has only one ear.